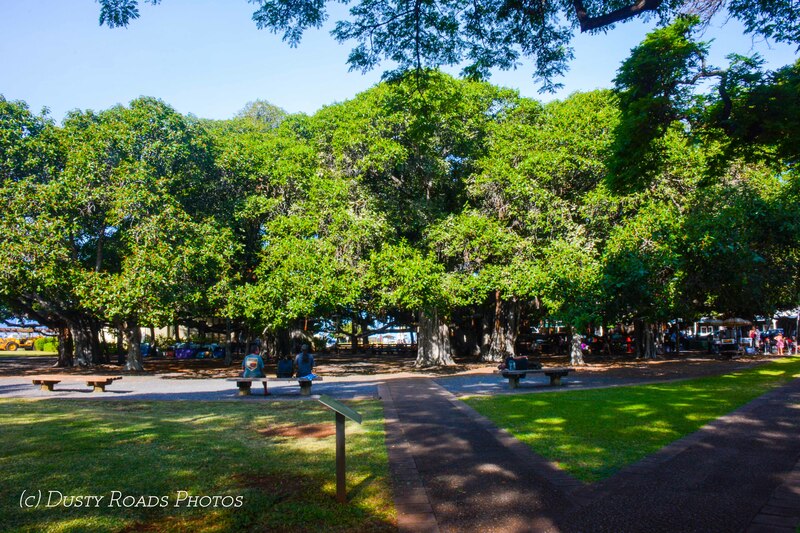 The Banyan Tree in Banyan Court Park, Lahaina, was planted in 1873. When first planed it was only 8 ft tall. Today it reaches a height of close to sixty feet and spreads out to cover over a two hundred foot area. It grows by dropping new roots from its branches. In addition to it’s main trunk, it now has 16 additional trucks of significant size. Its spreading canopy shades two thirds of the two acre area that makes up Courthouse Square. Although the trunks make the tree appear to be a grove of trees, they are all one massive plant.